it argues that the significant progress of infrastructure technology is the crucial factor to dominate the transformation of modern urban pattern. This influence could be identified by the analytic process of the 3-layer approach from the perspective of the delta or regional scale. 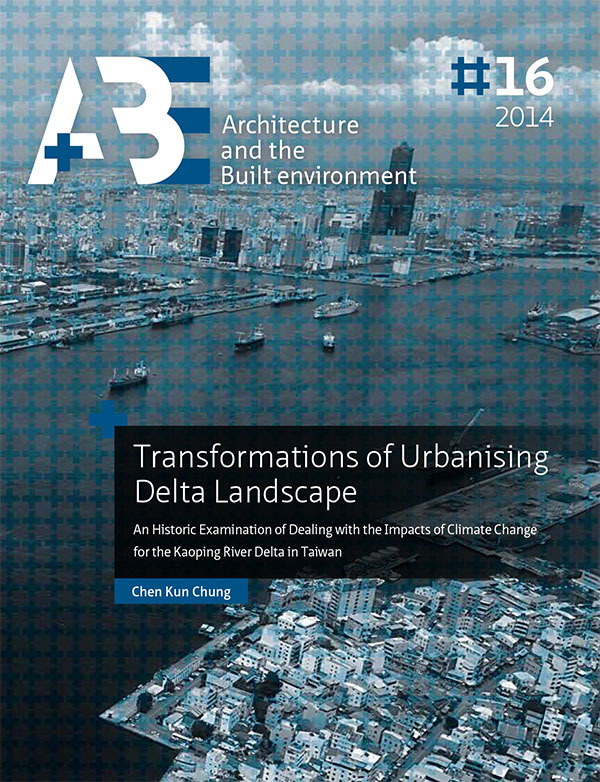 This new starting point of a theoretical framework for analysing urban forms has been proved in the Kaoping Delta case. Furthermore, it could be a new and valid theoretical background to extend the knowledge of urban morphology. The formal transformation of the Kaoping Delta is divided into four main periods, which reveals human activities have affected the operation of natural systems since a century ago. From a delta scale perspective, those effects interacting between different layers can be identified in six different topographies (in italics) of the whole river catchment area. A. The dike system along the main stream in the plains protects delta cities against floods, which enables rapid urbanisation. Population growth in delta cities increases food demand, which causes the intensive agricultural cultivation of mountain areas. B. The dike system narrows the original riverbed in the river basin, which raises the water level of the river during storms. This situation blocks the drainage outlets of delta cities and induces higher frequencies of urban inundations. C. The dike system along the main stream in the plains has significantly changed the surface flowing path of river and dramatically decreased the recharge of groundwater in foothills. It causes serious land subsidence in coastal areas when the ground cannot obtain sufficient groundwater. D. The dike system and the bridges of transportation crossing river has resulted in the lag-sedimentation of the river in the river basin. When a significant amount of river sand deposits in the riverbed rather than being transited to the estuary to supply the demand for sand along the coast, it induces serious erosion in the coast. Following this context, this study organised a five day workshop in Kaohsiung, ‘Workshop on Water Environment Development in Kaohsiung’ in 2012 to further examine the results derived from Chapters 3 and 4, and to demonstrate how a 3-layer approach can work between multiple disciplines as a platform for collaboration. This workshop followed the theoretical framework of the 3-layers to explore the entire Kaoping River catchment area and its two tributary basins as the chosen local-scale sites: the Meinong River and the Love River. This workshop gives the best demonstration of how to practically utilise the 3-layer approach to organise multiple- disciplinary work, and then to make an integrated plan. The results and process of this workshop are also generalised as a framework, which could be applied to other cases.